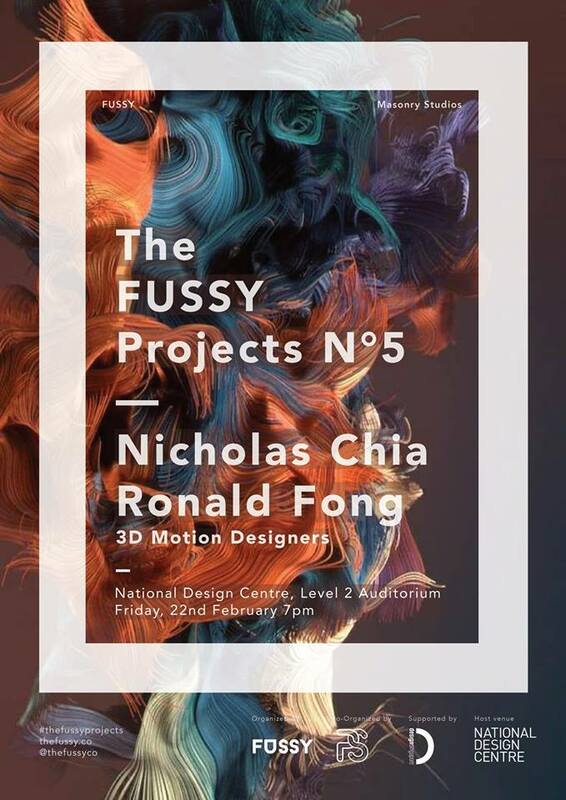 Supported by Design Singapore Council and National Design Centre, we’re proud to announce The FUSSY Projects N°5 with Nicholas Chia and Ronald Fong! Nicholas Chia and Ronald Fong of Masonry Studios are 3D Motion Designers who have been in the industry for several years. With clients like Facebook, Netflix and Mcdonald’s, amongst many other notable brands, they produce not only 3D Animations and Motion Design, but VX and Sound/Music as well. See more of their works over at their socials!